Since 2010, stipulations in the Affordable Care Act (ACA) have required health insurers to provide “100% Coverage for Preventive Services” for patients with non-grandfathered plans. This means that if you, or your employer, has signed up for your current health care plan since the ACA took effect, you should not have any out-of-pocket expenses for preventive services. That sounds great, right? Of course, there is a catch. The problem for patients is that there are also new restrictions on what is considered a preventive service. The “free” part of the deal comes with the stipulation that your insurer gets to decide what is considered covered. The ACA also outlines specific services that your insurer is required to cover, so most insurers will only cover the minimum level of services possible to stay compliant with the law. There are a few exceptions, but it isn’t really the nature of health insurers to give away free services when they aren’t required. This means patients no longer receive an “Annual Physical Exam” when they go their healthcare provider for their once-per-year visit. Instead, they receive a “Preventive Wellness Visit.” The change in terminology is slight, but the nature of the visit itself has changed significantly. This page should give our patients a better understanding of what the law considers part of a Preventive Wellness Visit, how that sometimes deviates from what we consider the best and most efficient way to care for our patients, and what our office is trying to do about the differences to make it easier and more affordable for everyone involved. Which services are “covered” as preventive at my Preventive Wellness Visit? Insurers now must cover evidence-based services for adults that have a rating of “A” or “B” in the current recommendations of the United States Preventive Services Task Force (USPSTF), an independent panel of clinicians and scientists commissioned by the Agency for Healthcare Research and Quality. An “A” or “B” letter grade indicates that the panel finds there is high certainty that the services have a substantial or moderate net benefit. The services required to be covered without cost-sharing include screening for depression, diabetes, cholesterol, obesity, various cancers, HIV and sexually transmitted infections (STIs), as well as counseling for drug and tobacco use, healthy eating, and other common health concerns. The issue date for a recommendation from USPTF is considered to be the last day of the month in which it is published or otherwise released. Health plans must also provide coverage without cost-sharing for immunizations that are recommended and determined to be for routine use by the Advisory Committee on Immunization Practices (ACIP), a federal committee comprised of immunization experts that is convened by the Centers for Disease Control and Prevention. These guidelines require coverage for adults and children and include immunizations such as influenza, meningitis, tetanus, HPV, hepatitis A and B, measles, mumps, rubella, and varicella. An ACIP recommendation is considered to be issued on the date that it is adopted by the Director of the CDC. The ACA requires that private plans cover without cost-sharing the preventive services recommended by the Health Resources and Services Administration’s (HRSA’s) Bright Futures Project, which provides evidence-informed recommendations to improve the health and well-being of infants, children, and adolescents. The preventive services to be covered for children and adolescents include some of the immunization and screening services described in the previous two categories, behavioral and developmental assessments, iron and fluoride supplements, and screening for autism, vision impairment, lipid disorders, tuberculosis, and certain genetic diseases. The recommendations issued by USPSTF, ACIP, and Bright Futures predate the ACA. In addition to these services, the ACA authorized the federal Health Resources and Services Administration (HRSA) to make additional coverage requirements for women. Based on recommendations by a committee of the Institute of Medicine (IOM), federal regulations require new private plans to cover additional preventive services without cost-sharing for women, including well-woman visits, all FDA-approved contraceptives and related services, broader screening and counseling for STIs and HIV, breastfeeding support and supplies, and domestic violence screening. The ACA further separates the types of services that are considered “preventive” into three basic demographic groups. Click on the links below for specific details on the HHS.GOV website about which services are included for each group. For details on what our in-network insurers consider part of your “wellness” exam directly, you can view BCBS’s policies here and Cigna’s policies here. Which services are “not covered” as preventive at my Preventive Wellness Visit? Acute illnesses and injuries. If you are sick or injured, your provider cannot perform a “wellness” visit. At our office, because you still need medical care for the most urgent issue at the moment, we will postpone the preventive wellness visit and take care of the acute illness that needs to be addressed at that visit. Chronic conditions. The covered services are considered “preventive” and designed mostly as a screening tool to identify possible health problems early and educate patients on their plan of care to address minor problems before they turn into major ones. It does not include care or treatment for issues or problems that have already been diagnosed. Surgical procedures. There is no definition of “wellness” that would require a surgical procedure. Generally, a surgical procedure requires its own separate visit apart from anything else. Medication refills. With the exception of contraceptives for women and aspirin for certain risk groups, any discussion of refills on current medications or prescribing new medications is not covered as a preventive service. At our office, you can choose to discuss your medication and continue with a regular medical visit, or you can choose to proceed with your preventive wellness visit and address any questions about your medications at another time. Again from the Kaiser Family Foundation, here are a few situations that patients may experience that would result in out-of-pocket expenses for services that the patient may have considered preventive. If the office visit and the preventive service are billed separately, cost-sharing cannot be charged for the preventive service but the insurer may still impose cost-sharing for the office visit itself. If the primary reason for the visit is not the preventive service, patients may have to pay for the office visit. If the service is performed by an out-of-network provider when an in-network provider is available to perform the preventive service, insurers may charge patients for the office visit and the preventive service. However, if an out-of network provider is used because there is no in-network provider able to provide the service then cost-sharing cannot be charged. If a treatment is given as the result of a recommended preventive service, but is not the recommended preventive service itself, cost-sharing may be charged. What does that mean for patients at Family Care? While the ACA is the first meaningful and effective reform our healthcare system has ever had and a great step in the right direction, there is still a gap between what is medically recommended by your provider and what is required to be covered by your insurance plan according to the provisions in the law.3 Because patients definitely don’t want health insurers making medical decisions for them, our providers do not base all of their recommendations on these limited requirements. If one of our providers believes that you need something because it is in the best interest of your long term health, they are going to make that recommendation regardless of your insurance coverage. While we try to structure these visits in a way that ensures most our patients will not have any problems with coverage, there are several specific situations at our office that might result in unexpected expenses for our patients. Getting blood work. The ACA outlines specific lab tests that are considered preventive. Sometimes, your provider may recommend that you get additional testing done that falls outside the scope of preventive services. For the sake of convenience and efficiency, it is usually easiest for us to perform all of the tests at once, rather than having our patients come back another day to get their labs re-drawn. Out-of-network patients. Most insurers have ZERO coverage for out-of-network preventive wellness visits, including denying the claim and not even applying the charges to an out-of-network deductible. From the insurer’s perspective, if it is considered “wellness” visit and there is no urgent issue to address, the patient had enough time to find a provider who was in their network and chose to see someone outside of the network, instead. Fair or not, that is how an out-of-network wellness claim is most likely to be processed. New patients. Because of the nature of a new patient visit and our documentation requirements regarding a patient’s history and present condition, we cannot perform preventive wellness visits for patients who have not been seen before at our office. If you are interested in becoming a new patient, please check out our new patient registration process to see how you can get established at our office and get prepared for your preventive wellness visit during your second appointment at our office. To all of our patients, thank you very much as we work to provide the best possible care within the framework of our rapidly changing healthcare environment. 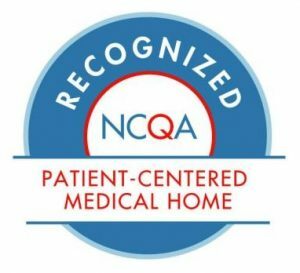 We hope you understand that our changes have been made with the best of intentions towards providing quality, affordable care and with our patient’s best interests in mind.